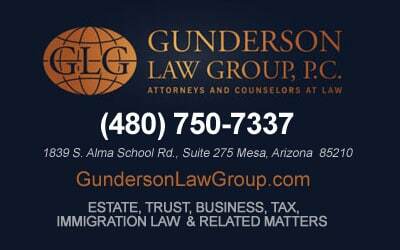 Arizona Estate Planning: What are the risks of creating your own plan? With the help of online tools and books, thousands of people bypass lawyers to create their own wills, powers of attorney and other estate planning documents. The pros and cons of creating your own legal documents without professional help vary by individual. For people with complicated family or legal situations involving children from multiple spouses or significant wealth, professional help is essential. For young, single people with relatively straightforward needs, very few assets and no complicating factors there’s room for disagreement. Often times even in very simple circumstances, people make mistakes when they fill out their own forms. People often get a false sense of security from creating their own legal documents, where answering one question incorrectly or overlooking something such as appointing a guardian for children or not anticipating a beneficiary; future needs and challenges can lead to major problems down the road. Experienced estate planning lawyers know the questions to ask, and know what to do with the answers. Without an estate planning lawyer’s guidance, you might not understand the technical but important terms of critical documents. Therefore, you could inadvertently give someone more power than you want to at the wrong time when creating a “durable power of attorney” document, for example. That document essentially gives someone else the power to take care of your finances. If that person isn’t trustworthy, he or she could steal from you. If the document isn’t executed properly or does not have certain required language then it might not be valid. Another risk is when it comes to transferring your property to your intended beneficiaries after you pass away, a self-written will might contain omissions or statements that lead to unintentional consequences. Without the help of an estate planning lawyer, a person might not prepare for contingencies such as being pre-deceased by children, divorce, or the births of new children, unknown creditors of beneficiaries, etc. The complicated world of estate taxes is also a risk when creating your own legal documents. If you do not know the current state and federal tax laws your estate could pay too much in taxes, leave less to your beneficiaries then you had planned or result in a very different distribution of your estate than you intended. If you don’t think you can afford a complex estate plan now, start with what you can afford. Then, let your planning develop and expand as your needs change and your financial situation improves. Don’t try to do this yourself to save money. An experienced Arizona estate planning attorney will be able to provide critical guidance and peace of mind that your specific plan meets your specific needs. Arizona Attorney » Legal Blog » Estate Planning » Estate Planning: What are the risks of creating your own plan?